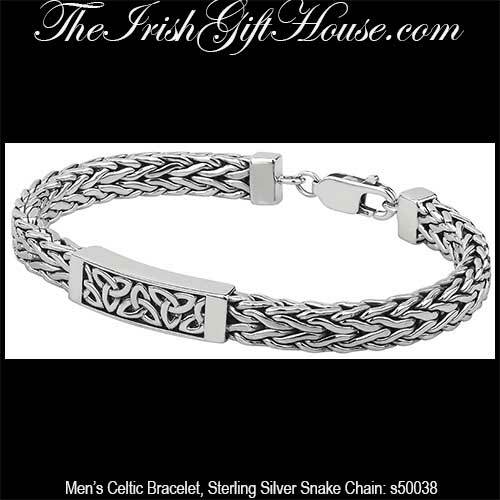 Masculine Celtic bracelet is a heavy and dimensional design for men that features a Trinity knot motif along with a sterling silver snake chain. This Celtic bracelet for men is constructed of sterling silver with oxidized accenting. 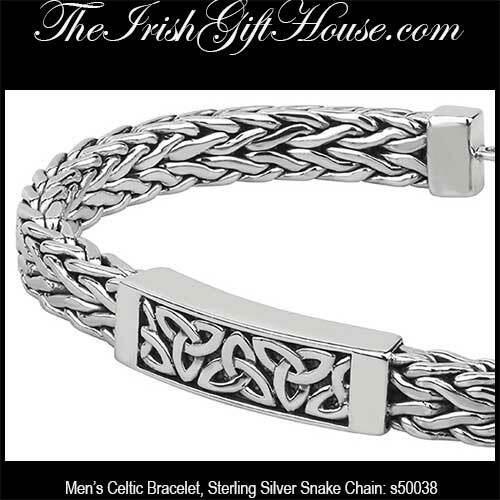 The men's Celtic bracelet features a Trinity knot motif in the center, that measures 1/3" tall, along with a dimensional snake chain; the Trinity bracelet measures 8 1/2" long, including the lobster claw catch. 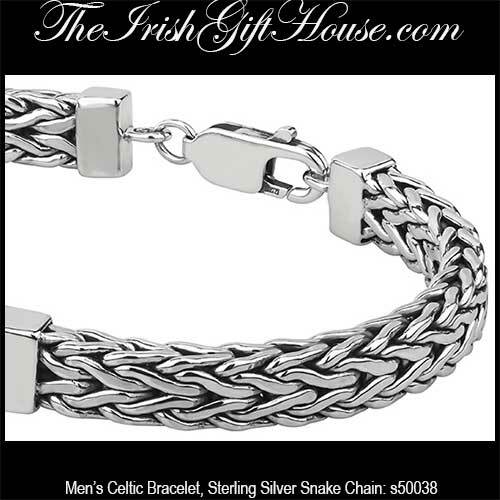 The men's Trinity knot bracelet is made by Solvar Jewelry in Dublin, Ireland and it is gift boxed with a Celtic knot history card, complements of The Irish Gift House.